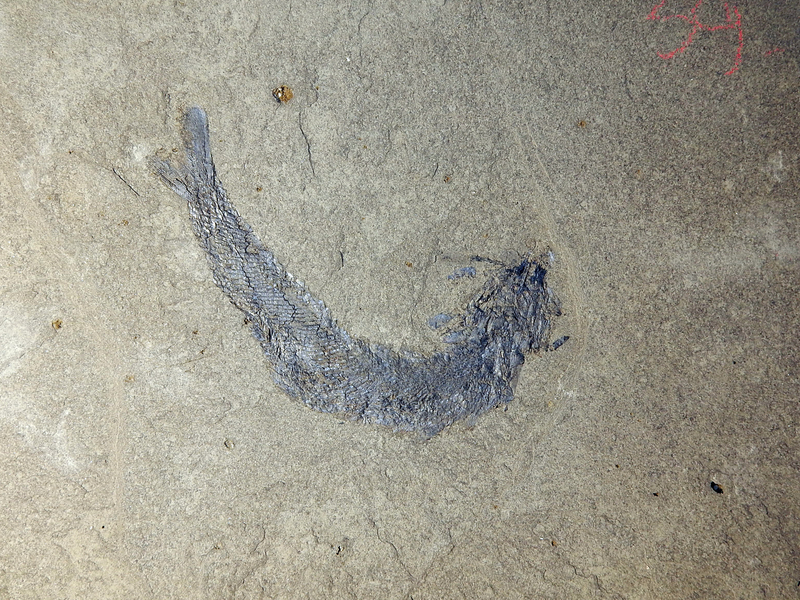 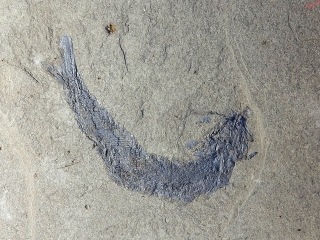 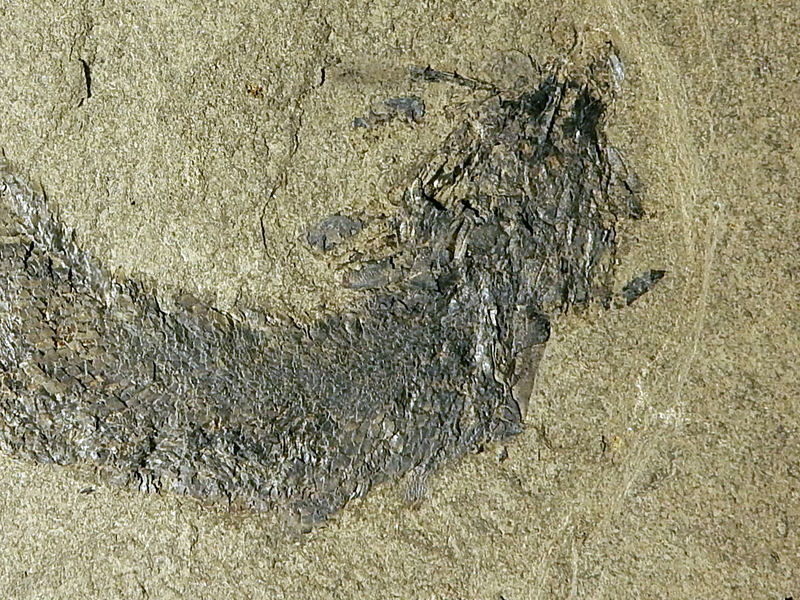 On offer is a well-preserved example of a Palaeoniscum freieslebeni, a fossilized extint species of ray-finned fish. 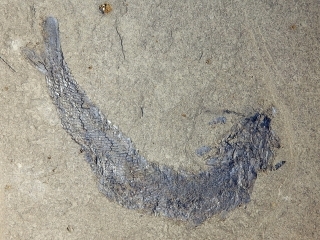 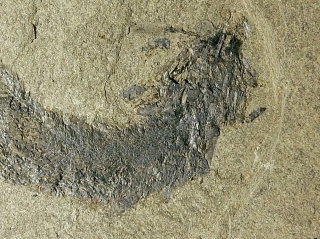 Nicely preserved and many details can be seen, including the fins, skin structure and skull. 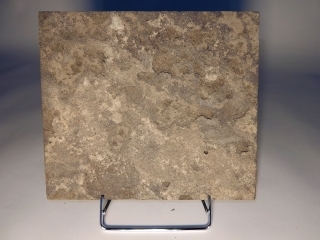 Nicely centred on a sandstone slab with regular edges. 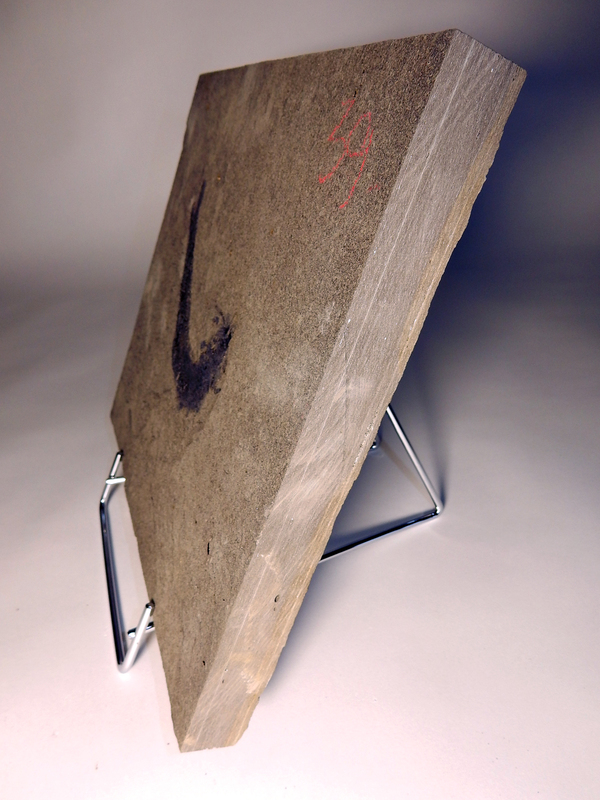 This comes with a stainless steel display stand. 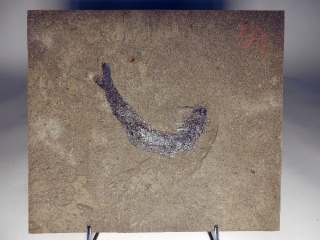 This piece formed part of the Museum Biochron in Emmen in The Netherlands. 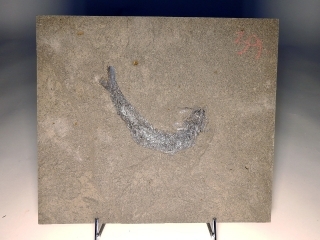 The Museum has recently deaccessioned part of its collections. 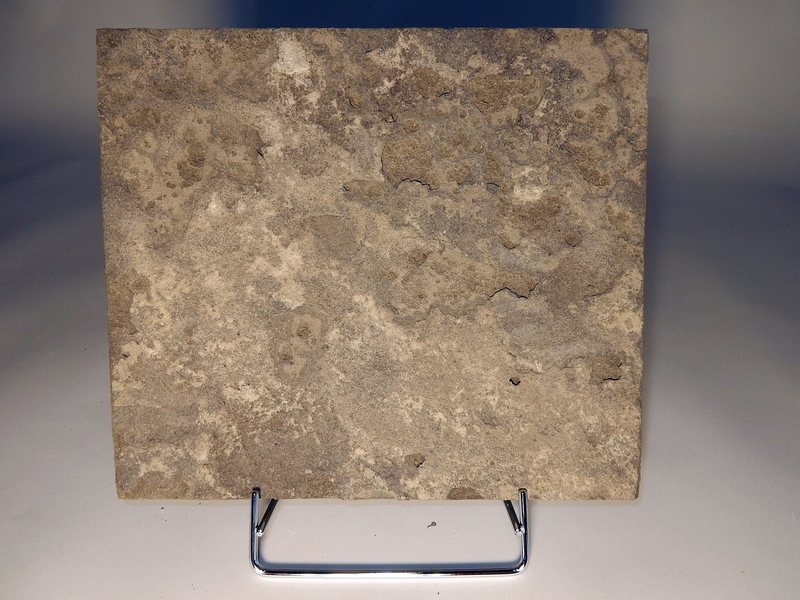 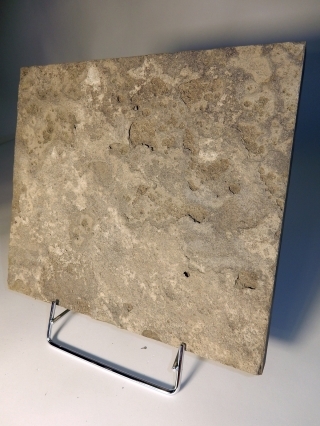 This piece falls outside or our main territory of expertise but we have attempted to catalogue it as professionally as possible and we are able to offer these pieces at competitive prices.